Land Technologies has been growing quality plant material for the Wholesale and Retail market for over 20 years on 11 acres located in Sanford. Our growing facility is able to produce quality plants for the public and enables us to produce plant material for our own landscape construction projects with better quality at more affordable prices. 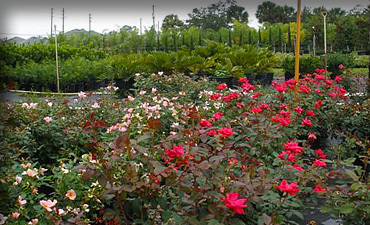 Our nursery is stocked with a wide variety of landscape plants such as Viburnum, Ligustrum, Jasmine, Liriope, Boxwood and Palms - ranging in size from 1 gallon up to 200 gallon containers. 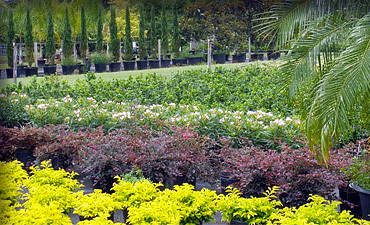 For all your landscaping needs - groundcovers, hedge or flowering shrubs, ornamental trees, shade trees, tropicals, cold hardy palms – our selection is vast. In addition to plant material we also stock bagged mulch, rock, soil and fertilizer. 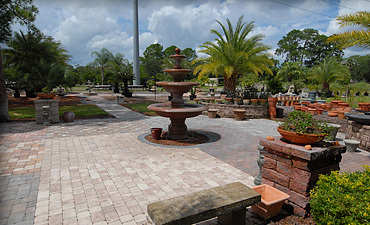 There is a wide variety of statuary, birdbaths, fountains, benches, planters, pottery, wrought iron and garden décor. Our Paver Display area consists of 3,000 square feet of walkways, driveways, patios and garden walls showing many different styles, textures, colors and patterns. Land Technologies is an Authorized Contractor for Belgard Hardscapes and is Certified by ICPI, NCMA and Seal’nLock. We have installed a multitude of patios, driveways, walkways, pool decks, garden walls, segmental retaining walls, free standing walls, railroad tie retaining walls, fire pits and more. Whether you are a Landscaper or a DIY’er – Land Technologies has the supplies you need.